Dave graduated from the National Personal Training Institute in 2012. After training at an Essex County gym for a year and a half, Dave started his own in-home personal training company. Wanting to help as many people as possible reach their health and fitness goals, Dave purchased the NJ Fitness Factory in September of 2016. Prior to entering the fitness industry, Dave worked in finance for 14 years. He has a bachelor’s degree in finance from the College of New Jersey and an MBA from Fordham University. By purchasing the NJ Fitness Factory, Dave has inherited a group of world-class trainers who help their clients reach their fitness goals with a combination of strength training and interval training. The trainers provide excellent direction to ensure that exercises are performed safely and effectively. At the same time, they work to make the sessions as enjoyable as possible in a positive, non-intimidating environment. 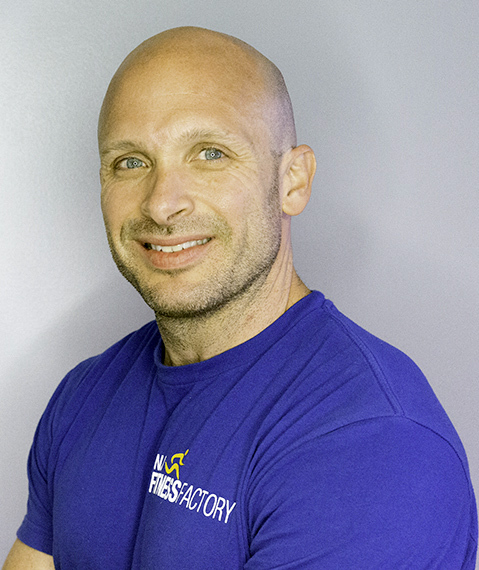 Dave will be constantly working to improve the NJ Fitness Factory and provide its clients with the best and most satisfying experience possible.